No-nonsense consulting support that is actionable and practical. KRvW Associates offers highly specialized customer-driven security consulting services, drawn from our Principal Consultants' years of experience. Are you looking for world-class security training? We specialize in small classroom, instructor-lead heavily hands-on training that is tailored and customizable to our customers' needs. 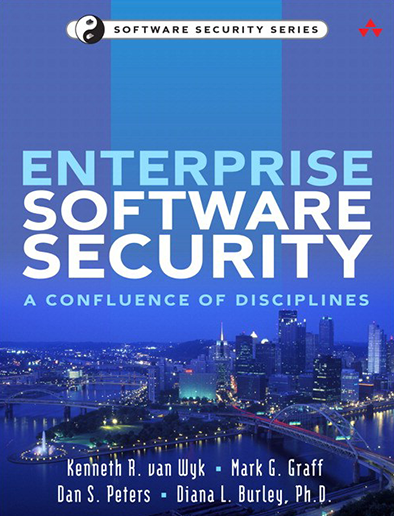 How secure are your business software applications? How do you know? Here at KRvW Associates, we take a balanced approach that starts with developing a deep understanding of how your business works, and then recommending a course of action that makes sense directly to you. We’ll help you design, build, deploy, and operate systems that meet your business and security needs. Developing and implementing effective incident response management is critical for mitigating damages and costs associated with software security breaches. KRvW Associates has extensive experience in Incident Handling and Response Management, and can assist your organization throughout every phase of setting up and running your IR program. We provide no-nonsense, down-to-earth consulting support that is actionable and practical. Our services (described below) span a spectrum from hands-on assistance through designing and recommending courses of action. Let us help you navigate through the maze of information, processes, and technologies that you'll be faced with. Plan and implement an incident handling capability that meets your needs, your regulatory requirements, and your budget. KRvW Associates consultants have significant experience at providing expert litigation support to the legal services community. KRvW Associates consultants have years of experience in designing, implementing, and testing secure network architectures. Are you looking for world-class security training, delivered by seasoned professionals who have spent years practicing what they train? We specialize in small classroom, instructor-lead heavily hands-on training that is tailored and customizable to our customers' needs. All courses are tailored to your organizations needs, time requirements and budget. KRvW consultants have spent years working with organizations of all sizes helping succeed in meaningful ways, and putting in place the levels of information assurance that make sense for them and their customers. KRvW Associates has delivered a proven track record of results to our customers since 2003. Ken is an	internationally recognized information security expert and author of three popular books, including Enterprise Security: A Confluence of Disciplines (Pearson, 2014), Secure Coding: Principles and Practices (O’Reilly, 2003), and Incident Response (O’Reilly, 2001). He is also a monthly columnist for Computerworld. Among his numerous professional roles, Ken is a Visiting Scientist at the Software Engineering Institute at Carnegie Mellon University, where he is a course instructor and consultant to the CERT® Coordination Center. Richard Forno is an internationally-recognized security professional whose career in information assurance centers around security program development and management, incident response operations, security awareness, and emerging trends analysis. His career highlights include helping build the first incident response and computer crimes investigation program for the United States House of Representatives and serving as the first Chief Security Officer at Network Solutions, where he designed and managed the global information assurance program for one of the Internet's most critical infrastructures (the InterNIC). Reacting to all the latest attacks and vulnerabilities can result in a directionless security strategy that ends up slowing down business instead of helping it.